Dr. Maxwell Conn has been a resident of the Central Coast since January of 2000. He graduated from Virginia-Maryland Regional College of Veterinary Medicine (Virginia Tech) in 1997. After doing externships at the Baltimore Zoo, Baltimore Aquarium, and Midwest exotics clinic in Chicago, he has remained active in the dog, cat, and exotics communities. 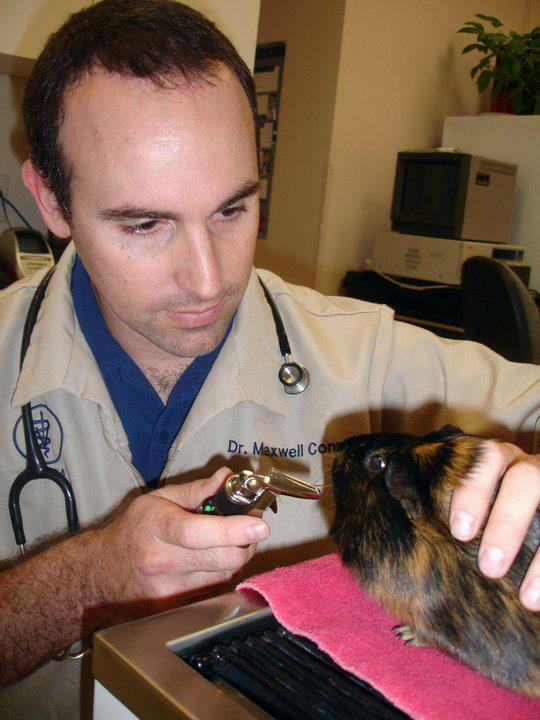 Dr. Conn lectures to promote exotic pet well-being through proper care, and has been published in Exotic DVM magazine on several occasions. Dr. Conn participates in on-line forums with veterinarians from around the world, and he belongs to the Association of Avian Veterinarians, and the Association of Exotic Mammal Veterinarians.